Our lunch is vegetarian today, not that we have anything against meat, it’s just that the vegetables are beginning to come on strong. 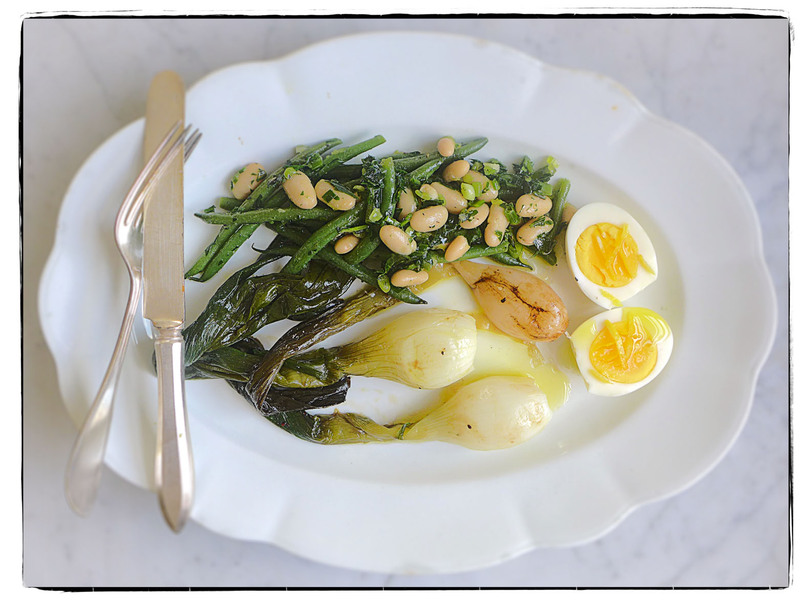 We poached succulent spring onions then marinated some in agrodolce sauce, made a two bean salad—green beans and cannellini—with a parsley vinaigrette, and added a soft-cooked egg with lemon. Eat yer vegetables, kids!